On the 6th March 1899, the Beyer pharmaceutical company officially registered Aspirin as a trademark, following their chemist Felix Hoffman's successful synthesis of a stable form of acetylsalicylic acid - the chemical name for aspirin - in 1897. Best known as an analgesic against aches and pains, aspirin can also be used as an antipyretic to control fever and as an anti-inflammatory to reduce inflammation. It also has the effect of making the blood less likely to clot, known as anti-coagulation. It was one of the first 'non steroidal anti inflammatory drugs' to be discovered (another example being ibuprofen), and it had the additional benefit of masking pain without impairing consciousness; nor was it addictive like the opiate painkilling alternatives, like laudanum. By the time of the discovery of aspirin, medicines based on similar chemical compounds called salicins that were derived from plants, including meadowsweet and the bark of willow trees - Salix in latin, hence the name of the drug, had already been in use for agues, aches and fevers for over 3 and a half thousand years. One proponent was a priest from Chipping Norton named Edward Stone, who's credited with conducting one of the world's first clinical trials. Having found willow bark to be beneficial for his own aches and pains, in the 1760s he prepared further extracts that he administered to fifty parishioners, whom, he later wrote in a report to the Royal Society in 1763, gained relief from a range of agues and intermitting disorders". However, it was only much later, during the 1820s and 30s, that chemists in Italy and Germany finally managed to purify the active salicin from the plant remedies. Salicin, it turns out, is chemically very similar to aspirin except that it contains a sugar molecule where aspirin has a short chain of carbon atoms. When ingested, salicin is oxidised to its active form, salicylic acid. But although the medicinal use of salicin and hence salicylic acid grew throughout the mid 1800s, it did have several drawbacks, not least the fact that it caused severe irritation to the lining of the stomach and even ulceration and bleeding. Around the time that this was happening, an industry began to grow in Germany to investigate medicines that might be made from the aniline cloth dyes that were being produced from coal tar. And surprising as it might sound given the starting point of coal tar, a lot of compounds were discovered that could be used to reduce fever and pain. One German dye firm, called Friedrich Bayer and Company, began to expand to investigate some of these potential medicines further, seeing that there was money to be made. It was this company that a young chemist called Felix Hoffman joined in 1894, to work with two more senior scientists, Arthur Eichengrün and Heinrich Dreser. In 1897, Eichengrün instructed Hoffman to find an alternative form of salicylic acid that would be less irritating to the stomach, but would still produce anti fever and pain effects. In his lab book entry for the 10th of October 1897, Hoffman declared that he had synthesised a pure form of acetylsalicylic acid by refluxing salicylic acid with acetic anhydride. This ended up producing a much purer and more stable form of acetylsalicylic acid than had been produced before using other techniques. Clinical trials suggested that it was just as effective as salicylic acid but far more stomach-friendly and with fewer of the unpleasant side effects. Unfortunately the company couldn't patent their potential new pharmacological blockbuster because, it turned out, the acetyl-salicylate molecule had been made and published previously. A French chemist called Charles Frederic Gerhardt had described the synthesis of the substance in 1853, but had never followed up on his discovery. Instead, Bayer elected to trademark the agent, constructing the name, it's claimed, from the A for acetyl, the SPIR from the meadowsweet plant they extracted the salicylic acid from, Spirae ulmaria, and the IN came from the fact that ending drug names with IN was the in thing to do at the time. The drug was initially produced as a powder and then in pill form from 1915. Aided by the 1918 'flu pandemic, where aspirin was very successful in controlling pain and fever of flu victims, its popularity skyrocketed. However, the 1956 launch of the alternative agent paracetamol, followed by the entry of ibuprofen in 1969, together with mounting evidence that aspirin could occasionally cause a potentially fatal brain-swelling disorder called Reye's syndrome in some children, dented its popularity. It is now advised not to be given to children under 16. However, the tarnished image of aspirin was reversed when its powerful anticoagulant effects were shown in the 1970s, and after this aspirin came back into mainstream medical use and it remains today the preventative mainstay measure against strokes and heart attacks by reducing the likelihood of a blood clot. More recent studies have also confirmed that this simple agent can also prevent certain forms of cancers and stop them recurring after treatment, and can even reduce the risk of Alzheimer's Disease. 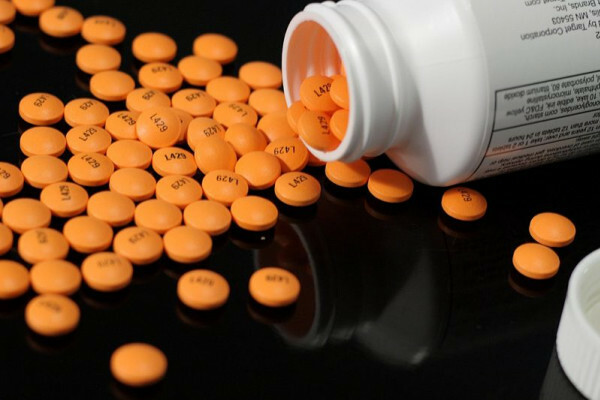 However, with a discovery of such magnitude and with money and fame to be had, there is unsurprisingly a lot of controversy surrounding the discovery of aspirin. Eichengrün released a paper in 1949, three years after Hoffman's death, arguing that he should be credited with the discovery of aspirin and that Hoffman had just been following his instructions. This account of events was not supported until 1999, when a researcher at Strathclyde University examined the case and came out in support of Eichengrün. Bayer, the pharmaceutical company that Hoffman and Eichengrün had been working for at the time, dismissed the findings and stood behind Hoffman. As of 2004, the controversy is still unresolved. The events that led to the production and widespread use of aspirin are an important chapter in the history of medicine. It was the first modern painkilling drug that could be used without affecting a person's day to day activities and has brought relief to millions of people over the years. Although less in use as a painkiller now, it still plays a vital role in medicine. How many bacteria accompany a kiss?